Where's your magic now ? 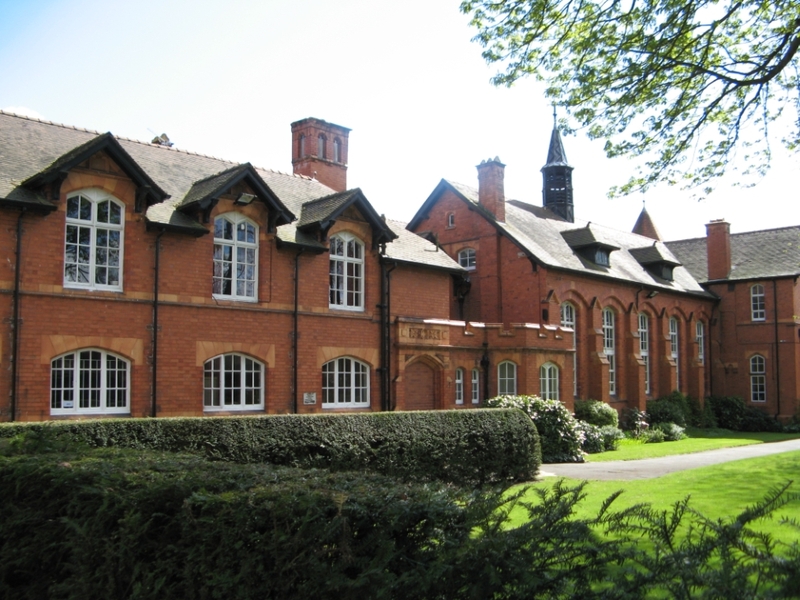 Altrincham Grammar School for Boys, where Squire and Brown first began to bond musically. "He was getting his head kicked in in the second year at school and I jumped over and pulled the kid off. I thought, 'He lives up my road, I'm not having that.'" (Ian Brown speaking to The Guardian, 2005). 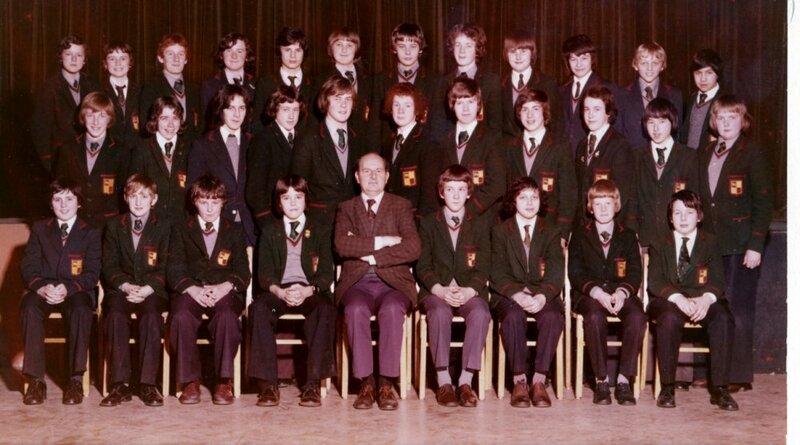 Brown's recalcitrant maverick nature was budding in his earliest school days - note the unbuttoned school blazer in this 1975/76 school photograph (Ian is sat beside the teacher, front row; to the other side of Ian is Simon Wolstencroft). Speaking to Smash Hits magazine in the summer of 1990, Ian recalls being asked as a five-year-old to distribute the school milk, and refusing to do it. "I said 'No - just put the milk crate on the desk, everyone can get their own.' I don't know why - I think it was the first day or something, but I thought that if I did it then, I'd have to do it every day, so I said no. In the end that's what they did - they put the milk on the table and everyone 'ad to come and get their own. Yeah, I changed the system ! From the start. You 'ave to. Heheh." 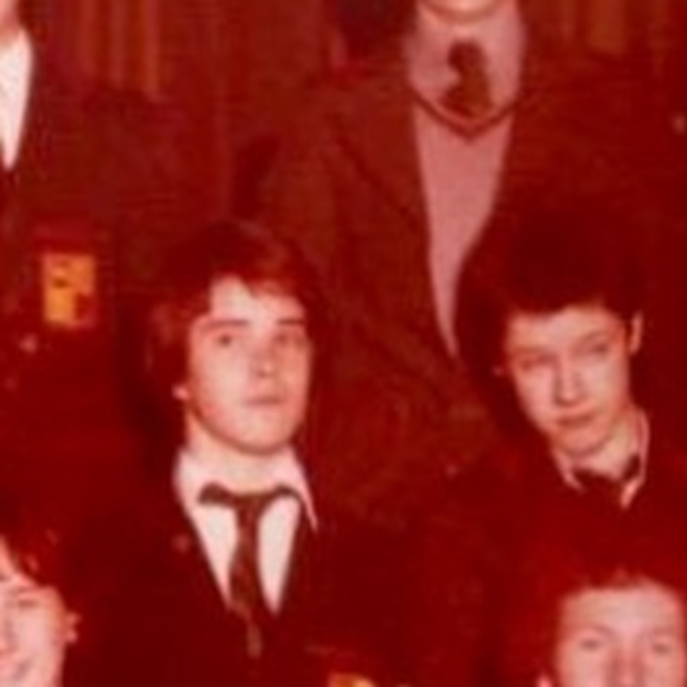 Ian can be seen alongside John Squire in this 1977/78 school photograph. 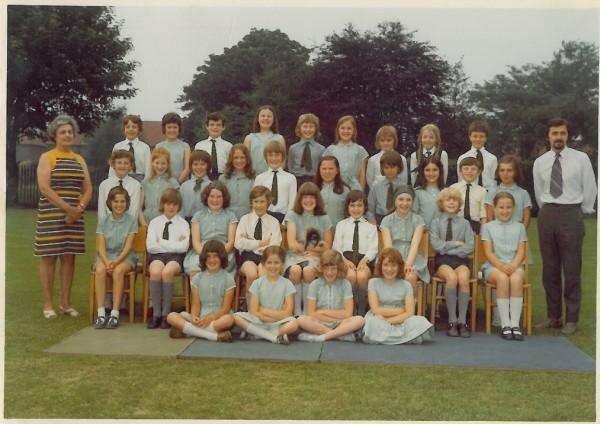 Click here to view a school photograph of a 9-year-old Ian Brown (third row from back, third boy from left) in 1972. Just A Little Bit was the first song ever written by The Stone Roses, in the cellar at Andy Couzens's house. Incorporating characters from Oliver Twist, there are thematic parallels with So Young in its rejection of social defeatism and miserabilism.